Regular Windfury clearly wasn’t enough. The release of new expansions in Hearthstone means a host of new terms and abilities are on the way. Yesterday, we learned about a “new” keyword coming with Rise of Shadows that might sound familiar to longtime players. In order to understand Mega-Windfury, first we need to understand basic Windfury. In Hearthstone, Windfury is a keyword most commonly associated with Shaman cards that allows a character to attack twice. For example, if you’re attacking your opponent’s life total with a Windfury minion that does three damage, you could attack again for a total of six damage. As you’d expect, Mega-Windfury takes the idea behind the regular version of the mechanic and kicks it up a notch. When attacking with a character that has Mega-Windfury, you can attack four times instead of once or twice. If the same three damage dealing minion mentioned in the previous example had Mega-Windfury instead of Windfury, it could attack for a potential 12 damage. It’s also worth noting players don’t have to attack the same target with a Windfury or Mega-Windfury character. If you want to spread your character’s numerous attacks out across multiple targets, you are free to do so. Mega-Windfury might sound familiar to players who were invested in the game during the Goblins vs Gnomes expansion. 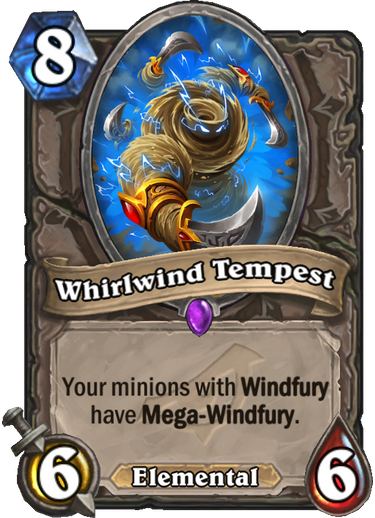 Prior to Rise of Shadows, Mega-Windfury wasn’t a keyword on any collectible card, but showed up in a number of places throughout the game. 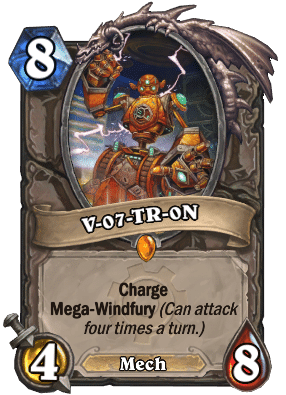 If you used the card Mimiron’s Head and successfully formed V-07-TR-oN, it had Mega-Windfury—but V-07-TR-oN was never a card that could be placed directly into a deck. 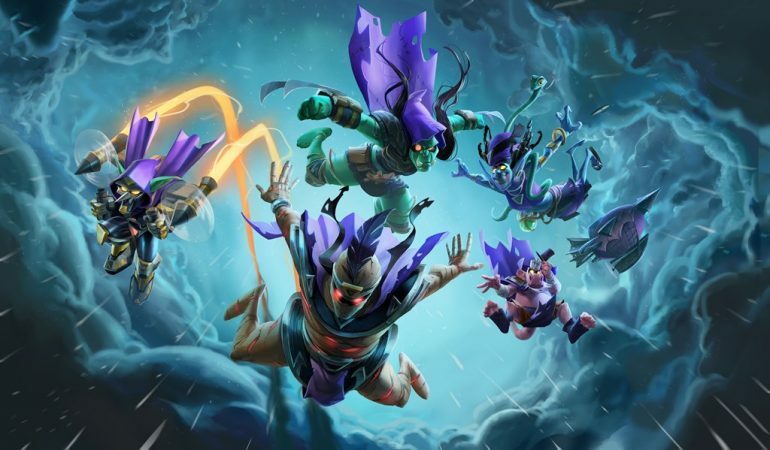 The term has also been mentioned on cards that were only available as part of the single-player experience connected to other expansions, but Whirlwind Tempest is the first collectible card that the term has been attached to. If you want to give Mega-Windfury and all of the other new mechanics releasing with Rise of Shadows a try, be sure to check out the expansion when it goes live on April 9.